I got an order in my Etsy shop for this custom tissue cozy. 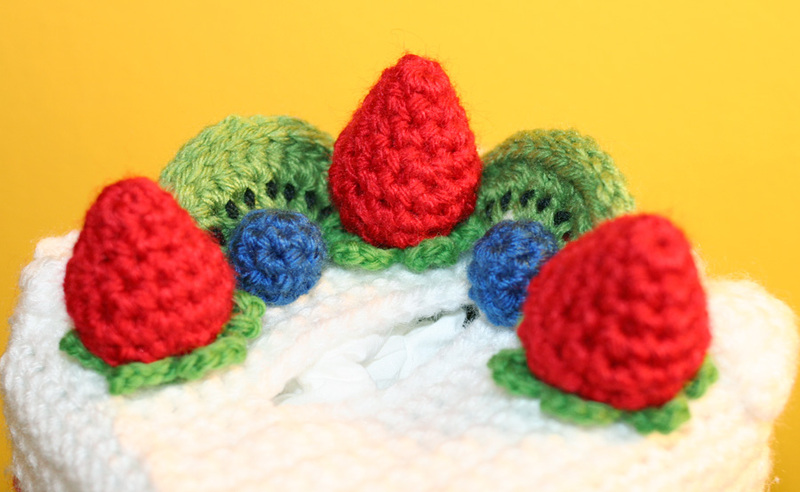 It’s a combination of this pattern for the main body of the cake and the toppings from my free Michaels.com pattern. It took me a minute to figure out how I wanted to arrange the fruit on top, since there isn’t a lot of room to work with, plus, you can’t really put fruit over the tissue opening! But I think it turned out really cute! 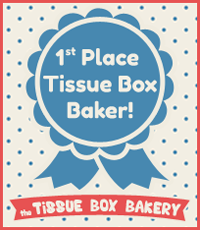 If you sent us a tissue box cozy, display your official Tissue Box Baker status with this blue ribbon! 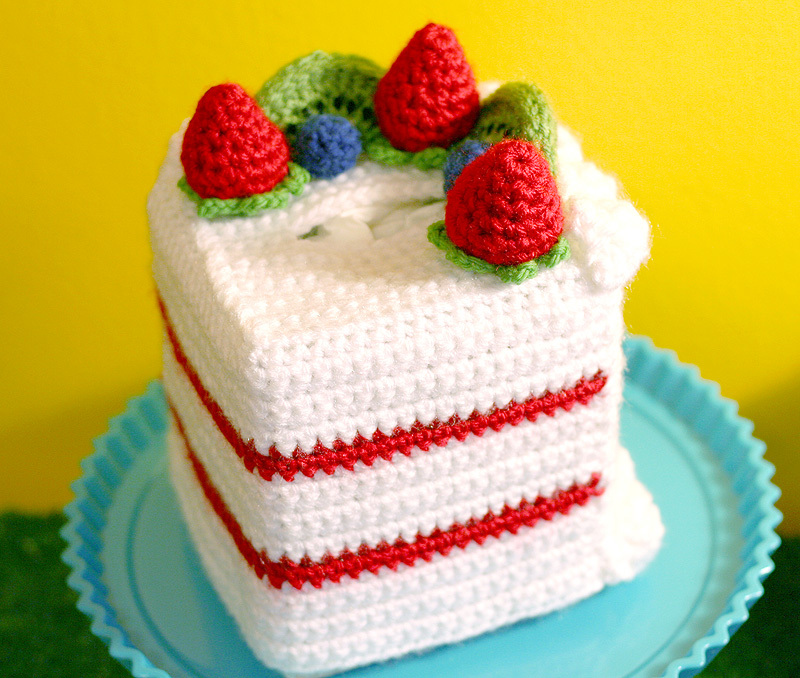 Tissue Box Bakery · Crocheting for a cause.